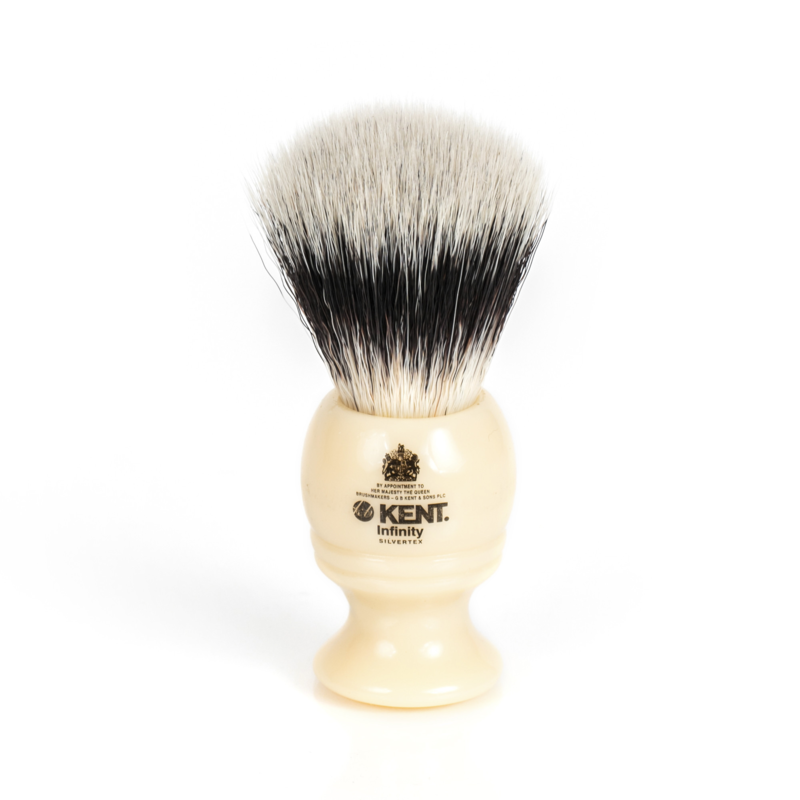 The Kent BK4 traditional Shaving Brush, Is another great brush from the master brush makers at Kent. Edwards have sold Kent for sometime and love the English company. Kent are In fact brush makers to the queen, which Is why they have the crowns coat of arms adorning they’re symbol. The Bk4 Is a pure badger brush, some traditional shaving enthusiasts prefer this grade of hair, as It exfoliates well. 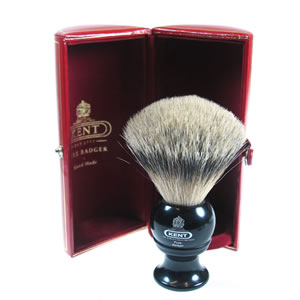 The shaving brush stands at 105 mm, and has a plume width of 50mm. 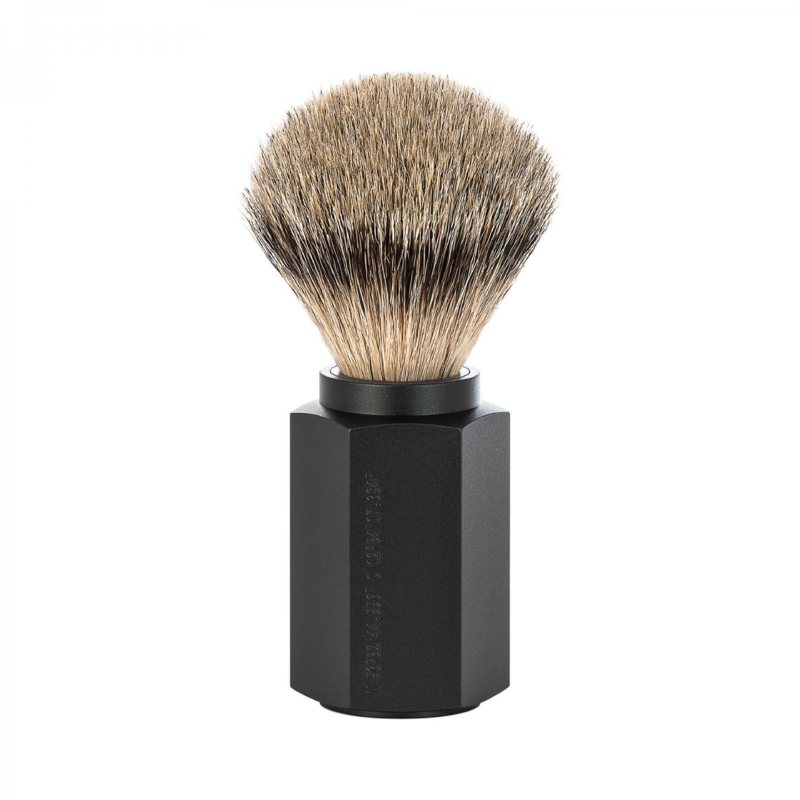 Why not try the shaving brush? We love It for It’s faux Ivory handle of acrylic. The box In which It comes Is majestic, the real oxblood leather case Is a beautiful English backdrop. 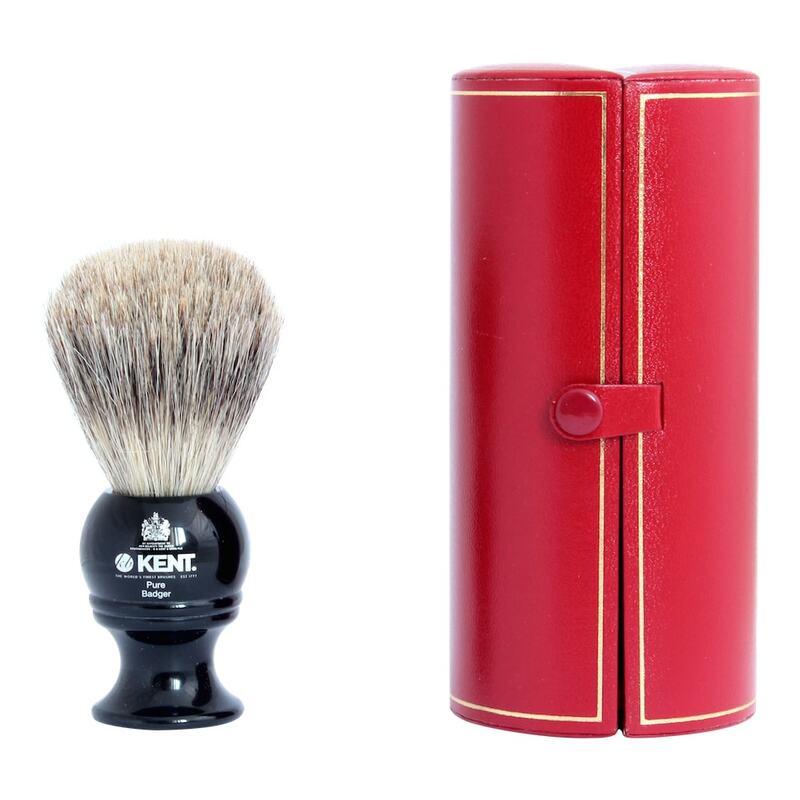 Cleaning The Kent BK4 traditional Shaving Brush, couldn’t be easier. Just after use rinse In cold water, shake and leave to dry upright. 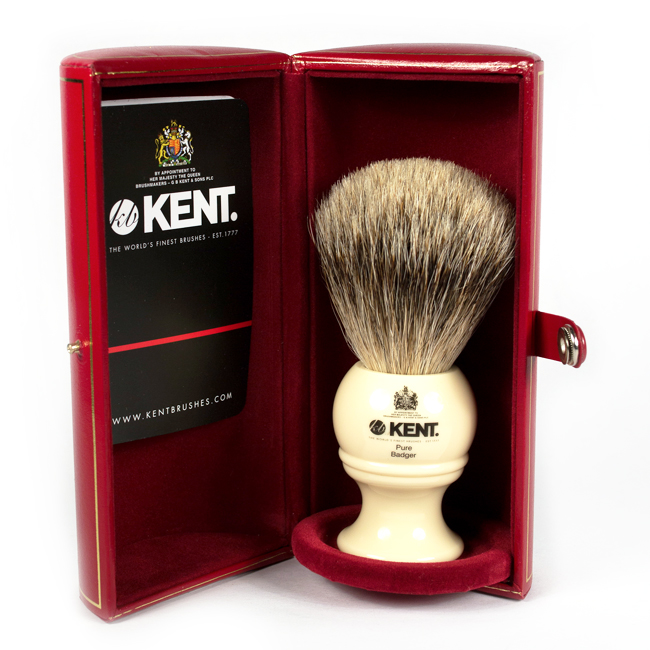 A good shaving brush should last 10 years and kent brushes are certainly that. We have a range of shaving soaps and creams for you, our customers to choose from. Why not take a look? Also we have a wealth of Information on traditional shaving on our blog. whether It is regarding shaving technique, or traditional shaving history. We at Edward’s endeavor to answer any questions you may have on the morning ritual, that we so enjoy.